I was surprised recently. After proclaiming this bike completely "dialed in", I made an unintentional refinement that made it "even more dialed in". I thought the new brakes, lower gearing, and tires were spot on perfect, but evidently not. A simple rear rack change resulted in an accidental, yet significant, fit improvement. On a whim, I replaced my Ocean Air Cycles Erlen Bag Support with one of the lighter Nitto rear racks. I just wanted to see how well the Nitto rack would work, as compared to the Erlen. Stubbornly, I kept abusing the Erlen with too much load, and not enough rear tire clearance. It turns out the Nitto rack works great, and that itself worked out better than expected. But the biggest benefit wasn't even intended. Removal of the Erlen requires temporary removal of the saddle. When I reinstalled the saddle, apparently it ended up slightly farther forward. That accidental "error" resulted in other charges for the better. First, I moved the bars slightly lower to accommodate the shorter "reach". Second, it feels like I'm in a stronger pedaling position. Finally, both of these refinements together make me feel more balanced fore/aft, and even more important than anything, more comfortable. So I feel more efficient and more comfortable by pure accident. Since I'm guessing some "accidental impacts" can be negative, I am now terrified to change anything on this bike. Do you think it would be okay to oil my chain? Ha! I was just going to email you about the switch of your rear rack, and then stumbled on this. I have to sort something out too for the back. I'd have had an Erlen on the first round, but missed it. 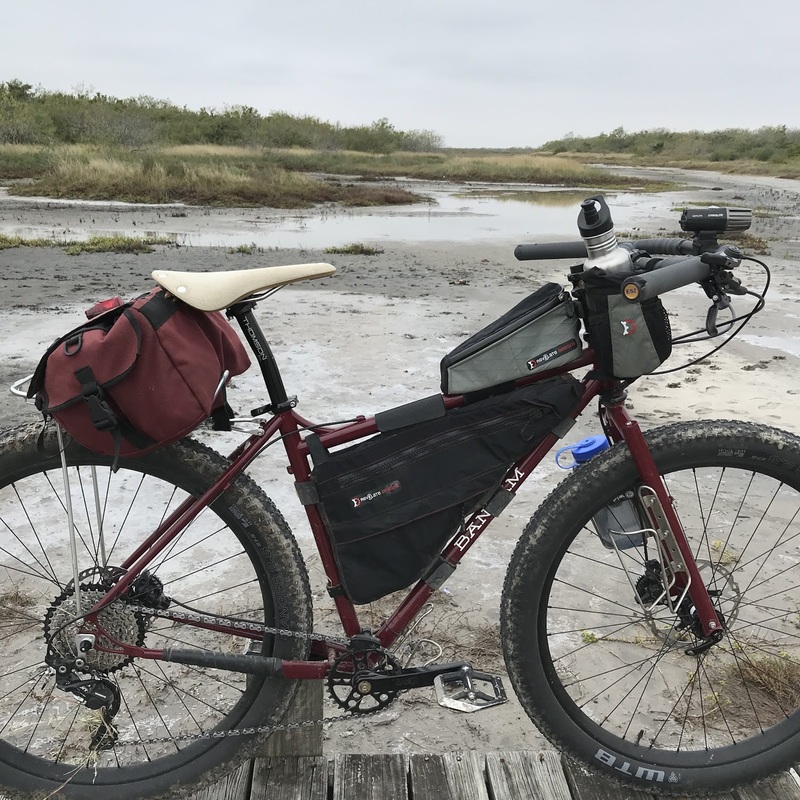 My saddle bags just barely clear my tire and have to cinched up tight as possible even then. Reading up on the new nitto/erlen, I'm not sure it would work either. I think it would be darn close to rubbing the tire too, especially with any load flex. I started wondering about fitting one of my small nitto front racks on the back...or go with a bigger one like you have. Man, rear bags and big tires favor the tall. Yes...I used this Nitto R14 because I already had it. But the Rat King/Tumbleweed minimalist racks look quite attractive for these applications.